"Lukas might be the best distance runner in American high school history. Trophies gather dust, but decency and caring for others grows richer with time. As far as talent, I think Lukas' event is the marathon and I think he could be an Olympic medalist in the marathon some day." Lukas Verzbicas' Sandburg HS coach John O'Malley. 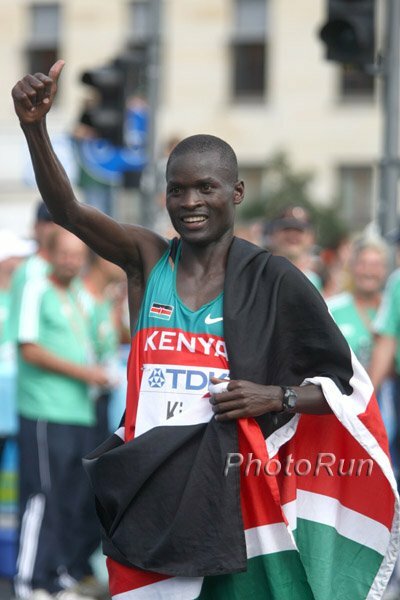 Verzbicas ran 8:57 indoor 2-mile and 14:18 indoor 5000m last year and still is short of his 17th birthday. He'll run the Foot Locker Cross Country Championships this weekend against, among others, Nike Cross National champion Craig Lutz. Is it worth it to do 45 min tempos when the longest I'll be racing this track season is 12 minutes? 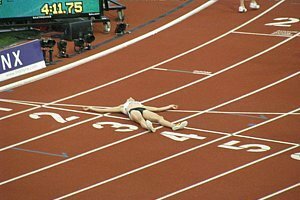 The death of aerobic training? Runner of the decade... World? US? LRC Training Talk - Is Your Training Repeatable? In 2010 we at LetsRun.com hope to make a huge push to talking more about training. To get things started, Cornell mid-distance and distance coach and LRC co-founder Robert Johnson wrote an article titled "Is Your Training Repeatable?" Rojo will follow up his article with a Thursday audio webcast where he'll talk training and answer email and call-in questions. LRC The Week That Was Once again, we recap the action for you from across the globe, whether it's the high school nationals in Oregon of the Fukuoka Marathon in Japan. Along the way, we introduce you to a ten miler where 90 people broke 50 flat and give you the cure to stress fractures. 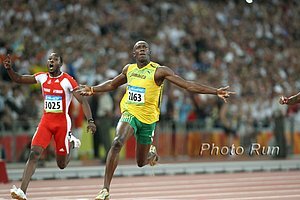 And since we feel greatness comes in pairs, we talk about Usain Bolt & Tyson Gay, Alan Webb & Galen Rupp, Chris Derrick & Craig Virgin, Al Sharpton & Jesse Jackson, plus Marion Jones, Gina Procaccio, Jenny Barringer and others. Nero ran 3:47 at the CARIFTA Games and since Georgetown's spots were filled, he headed to Baylor. 2. Rarity: An Interesting Sports Autobiography - Andre Agassi's "Open"
When this book came out, all the talk was about Agassi admitting he did crystal meth with his assistant named Slim during a dark part of his career. But Agassi, who does a 4-minute video interview at the link, and his co-author/ghostwriter J.R. Moehringer produced a legitimate, honest book that says a lot about what kind of insanity goes into creating the world's "best" athletes. With their 3rd man weakened after sharing bone marrow with his leukemia-stricken brother, Albuquerque finished 5th at NXN. Good Read: Brief Chat With Julia Lucas Lucas talks about moving to Mammoth and not enjoying it, moving to Portland and loving it, getting fed up with being obsessed with running and she does it all in less than 15,000 words! The Day In Track and Field Isn't Complete Without ... Drug Cheats in the News! Drama: IOC Refuses To Give Marion Jones' Sydney Gold Medal To Greek Cheat Katerina Thanou In a comedic Olympic scenario, the IOC is trying to reallocate Marion Jones' medals to the rightful winners, but is having a tough time because those next in line were probably just as doped as Marion. A female Russian long jumper and Bahamian 200m runner (we're trying hard not to make a cynical remark here) will get two of the other drug-tainted medals. Victor Conte Talks With Track Journalist Duncan Mackay About Marion Jones Refusing To Come Clean Fellow Ex-Prisoner Victor Conte On Marion Jones: "Marion knowingly used drugs and I'm sure she knows it was a mistake. But, I believe Marion is continuing to make a mistake by not coming forward with the entire truth. Her message to kids called the 'Take a Break' programme advises them to think before they lie or cheat. I would like to see Marion follow her own advise and tell the entire truth about her past use of drugs." Dwain Chambers On His Comeback Year This guy was willing to tell the whole truth, take a ton of heat for it, and now he's back. He got 6th in the WC 100m final, by a long shot the fastest 100m race ever run. Tiny Tsegaye Kebede showed he knows the best way to run marathon records, hammering home a 29:14 from 30k-40k to lock up a 2nd-straight Fukuoka win and course record 2:05:18. Kebede's only 22 and his marathon PR is only 8 seconds away from Sammy Wanjiru's. "Previously, I was training in a group with a coach but I am now self-coached," Tekeste Kebede, 28, said. "I think it gave me an opportunity to think about the right training for me and that I think is the reason why I was able to improve the personal best by a huge margin." - 2nd-place Tekeste Kebede after an Ethiopian romp in Fukuoka. 1. Shalane Flanagan Will Run Half Marathon In Houston After earning an Olympic Bronze and snagging every American record she can on the track, Shalane Flanagan has said she is looking for a new challenge. The first step comes January at the Houston Half. 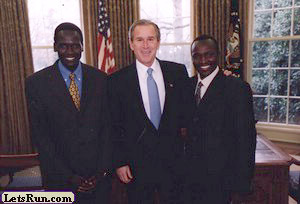 Korir's story is absolutely incredible. His coach says he may be the best American high school runner that ever has been and that eventually the marathon will be his best event. "Back in 2000, there was no independent anti-doping federation in place for several of the countries which have female athletes that will now receive medal upgrades... Back then, it was very easy to circumvent the drug testing procedures." People enjoy Bode because of exchanges like this - Do you have any goals for this season? "Not really,” he said. “You can make some up if you want." Bode Miller is like the Steve Prefontaine of skiing. Liu Xiang walked off the Olympic track in 2008 but has found his way back to top form in just over a year. The prize money is pretty big in Memphis (5000, 3000, 2000) so the race ended up paying out 10 grand extra to make up for 200m mistake caused by misplaced traffic cones. This is the first time in Olympic history a gold medal will not be awarded in an event as the tainted top-2 Marion Jones and Katerina Thanou and their greedy coaches, doctors and managers have attempted to make a mockery of sport in their careers. Kebede - who ran 2:05:20 in London, 2:08 in Berlin and 2:05:18 in Fukuoka - has us thinking he might break the world record sooner than Sammy Wanjiru. The IOC doesn't have hard evidence against Thanou but obviously there is something about her and her banned coach's approach to the Greek Olympic skipped test scandal that makes them refuse to give her the 2000 Sydney medal. LRC Boards: 6'6", 250lb Thrower Kicks XC Runners' @sses In Beer Mile Winning the end of the season beer mile, especially when you're a thrower, kind of offers legend status. 1960 Olympic Decathlon Battle Between CK Yang And Rafer Johnson Is Brought Back To Life We thought this was a good read. Wincanton 15k Recap/Results - Nicholas Manza Runs 42:38 Haile G's course record from this road race in The Netherlands is 42:36.